Police say an officer checking out a suspicious vehicle noticed a man with a gun who got out and started running before turning around. Perceiving a threat, the officer fired. 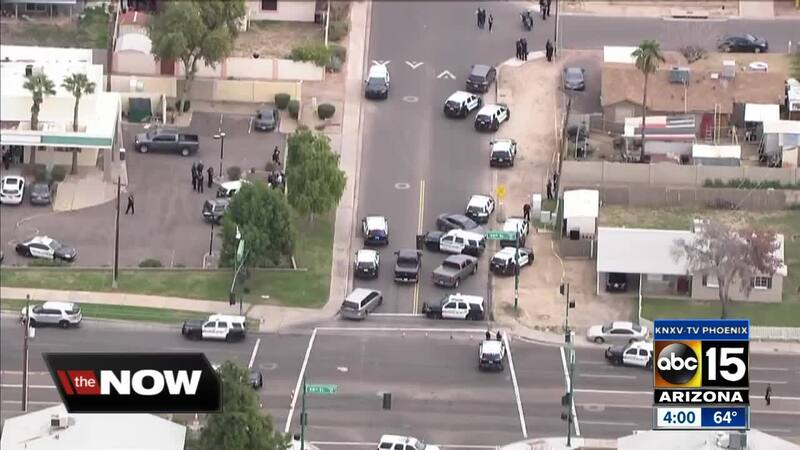 TEMPE, AZ — Authorities say Tempe officers were involved in a deadly shooting Tuesday afternoon. The shooting occurred just before 3 p.m. near 48th Street and Baseline Road. Tempe police say they originally responded to the area for a suspicious vehicle call. When officers arrived, police say the suspect got out of the vehicle with a gun and started to run. At one point the suspect turned toward an officer. The officer perceived a threat and shot at the suspect. Police said no officers were injured in the shooting. An officer responding to the scene was hit by a vehicle at Rural and University and taken to the hospital with non-life threatening injuries. The male suspect was taken to the hospital after the shooting and did not survive. The suspect's age was not immediately known. 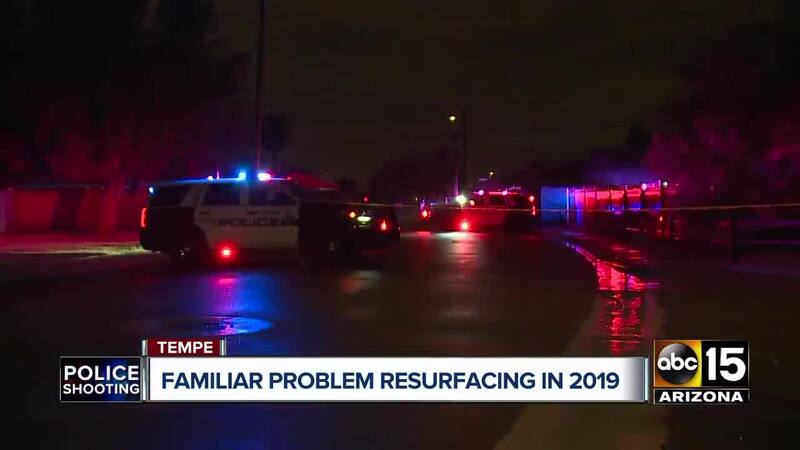 Forty-eighth Street was restricted between Southern and Baseline fro several hours while Tempe officers investigated the shooting, but reopened around 10 p.m. 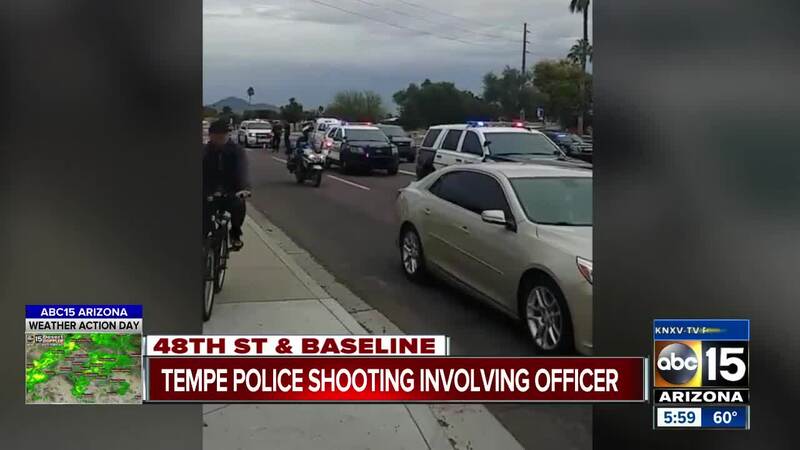 This is the fourth shooting by a law enforcement officer in Maricopa County this year, and comes less than 24 hours after Peoria officers shot a suspect near 91st and Northern avenues Monday night.